Last known price is 22% above the initial Lego retail price! 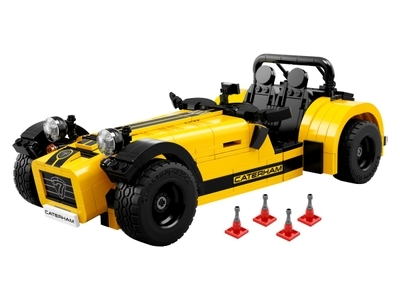 The Caterham Seven 620R (21307) Lego set is no longer directly available from the sites below. However, 3rd party partners of these sites might still have the set available. Alternate description Add quirky vehicle style to your shelf or desk! This LEGO® Ideas set includes over 770 pieces. Measures over 3” (10cm) high, 11” (28cm) long and 5” (14cm) wide.